On May 13, the Winnipeg Jets Hockey Academy (WJHA) and St. James Assiniboia Hockey (SJAHA) held their third annual Floorball Jamboree at the Keith Bodley Arena. This was the first year that all three participating WJHA school divisions were invited to the jamboree, making it the biggest yet with more than 500 students each playing five games. The jamboree is a highly anticipated celebration day for students who have just finished the WJHA’s 15-week after school program. The after school program teaches mental and physical health, citizenship, and also includes time in the gym, where students hone their floorball skills. 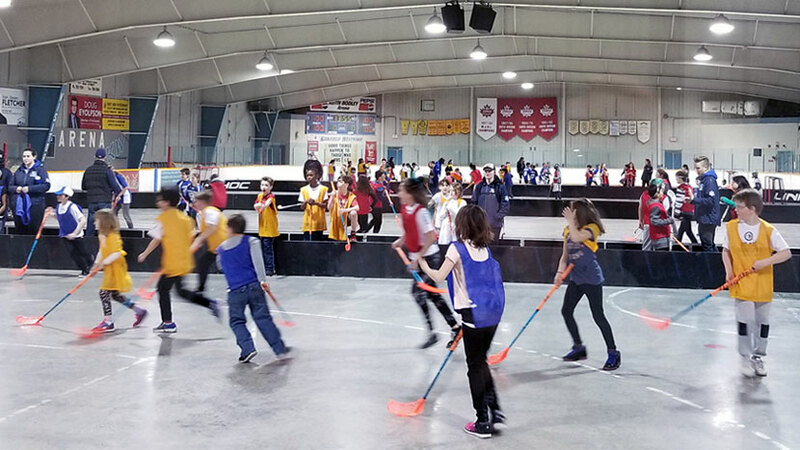 The jamboree gives students a chance to show off their floorball talents and test themselves against other schools and students in the program. A special thank-you to Jordon Sobkowicz and Dale Baydock from the SJAHA for helping to execute a fun and memorable tournament.